Rafe is home now, back for revenge and his obsession. He was sent away when he was younger because his family deemed him "unworthy" and "unruly." However, he has had years of resentment and hatred building, and when he comes home he does so with a plan to take over and destroy. Ella is alone, and while she is content when she's on the stage, she is lonely. When she was younger, she was told by a lot of people to stay away from Rafe, the problem child. When her parents died, Rafe's father became her guardian and has helped her achieve her goals since then. What Ella doesn't realize is that Rafe now holds the keys to her future and he's perfectly happy to use whatever means necessary to get what he wants – and he wants Ella. While I found his methods to be suspect and somewhat harsh, to watch the two of them overcome their issues was fairly profound for both of them. Ella realizes that she does indeed love Rafe and Rafe realizes that he can overcome his past and someone can love him for who he is – not the perception he gives off. There is a lot of angst in this story and while I found Rafe to be somewhat of a bully, in the end, when you learn more about him, he does try to redeem himself a little with Ella's help. 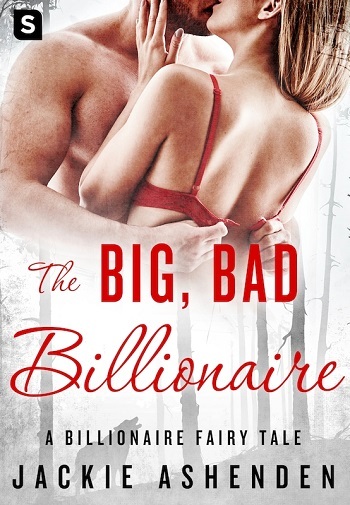 Reviewers on the Wicked Reads Review Team were provided a free copy of The Big, Bad Billionaire (Billionaire Fairy Tales #4) by Jackie Ashenden to read and review.